31 December 2014: your New Year’s Eve dinner in Rome. 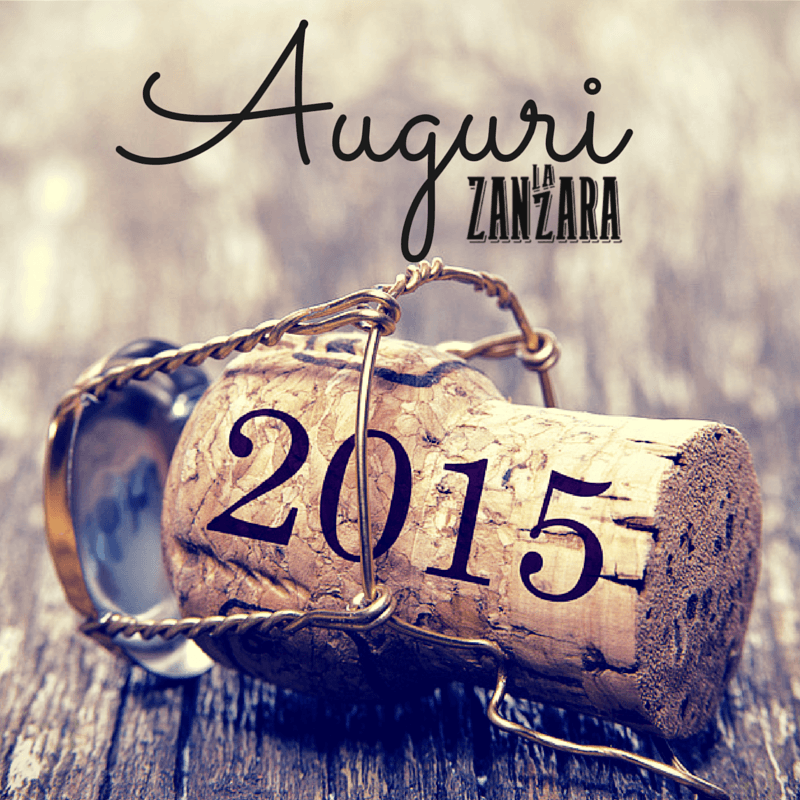 La Zanzara isn’t even one year old yet and it’s already celebrating its first New Year’s with you. It wants to celebrate with the same spirit that has guided it in the last ten months since its opening: fine cuisine, selected wines and above all… good company! Here’s the La Zanzara Menu, for your palate’s pleasure! New Year’s Eve dinner should be a pleasure. And for it to be so the Menu should reflect one’s tastes, which are too personal to be limited to a Fixed Menu. So we at La Zanzara have decided that for New Year’s Eve Dinner our clients will be able to choose single dishes from our evening’s Menu: appetizers from our gastronomic counter, antipasti, fresh handmade pasta, second course with fish and grilled meats, salads, side dishes and our famous desserts. For those of you who know us well, the Menu will consist of a selection of the recipes we have in our Winter Menu. And for those of you who still don’t know us there will be a selection of dishes that best represent La Zanzara. A few examples? Pata negra, culatello from zibello and foie gras. Fried anchovies, fried eggs with white truffles and tuna tartare. Tagliolini pasta (noodles) with butter and anchovies from the Cantabrian Sea, tagliolini pasta with white truffle and grass pea soup with seared scallops. Red tuna salad with sesame seeds and French fries. And to finish off the evening, 11 desserts for you to discover! Only for New Year’s Eve: tortellini in Capon broth. La Zanzara homemade Capon broth and hand-made tortellini. A must recipe during the Christmas holidays. A dish that is in addition to the other fresh homemade pastas (noodles, tonnarelli and tortellini) and that encompasses La Zanzara’s cuisine: simple flavors and tasty recipes. As with the dishes Menu, the Wine List by the glass was also created specifically for the evening. New Year’s eve dinner will be accompanied by a selection of bubblies, white and red wines: fifteen Italian and international labels that are perfect for the occasion. The same goes for Cocktails prepared by our Barlady Christian Brunetti: 12 fantastic experiences, from Kir Imperial to the New Yorker and the now famous Calimera Fizz. For those of you who have different needs on New Year’s Eve in Rome, La Zanzara is offering 2 solutions to choose from: book from 7:30 p.m. for dinner at the restaurant until 9:30 p.m. and then celebrate New Year’s elsewhere or choose the second possibility: book from 10 p.m. onwards and open a bottle of bubbly with us. Celebrate with us… Book your table!